The song was bit of conjecture about what one of the apostles (perhaps John?) might have thought looking back from a few years after. 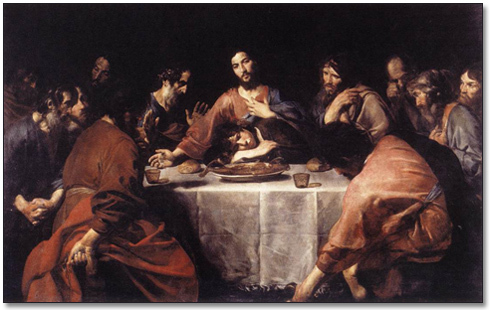 I wrote it as an Easter meditation piece, and have performed it many times at Holy Thursday services. That maxim — credited to 17th-Century French essayist Francois Duc De La Rochefoucaul — came to mind when I read that South Bend Mayor and would-be presidential candidate Pete Buttigieg had cited Donald Trump’s sexual history as a put-down of both the President and his supporters. 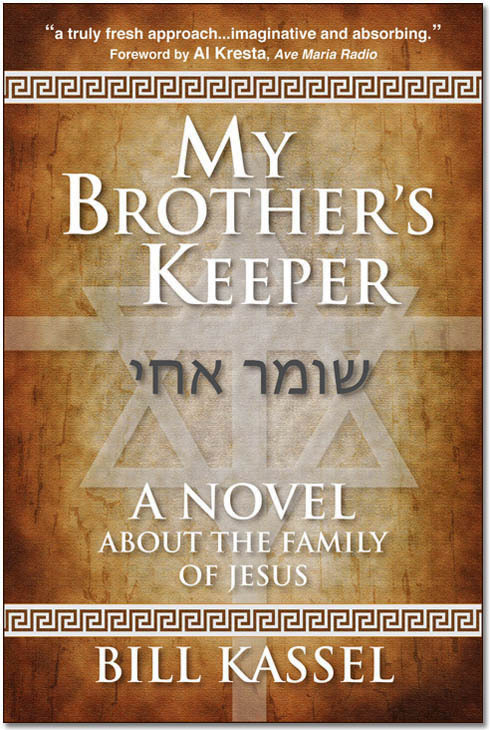 This week I appeared on the Catholic podcast, “Fiat Ministry Network,” speaking about my novel, MY BROTHER’S KEEPER, and mentioning how it could be purchased directly from my blog. The next day my wife, Kathy, wanted to make sure the purchase link was functioning properly. So she went to the blog, where she discovered that overnight all the links had been altered to take anyone who clicked on them to some other website. I had obviously been hacked. Identifying the root URL of that mysterious page, she discovered that the underlying platform was a page written in Ukrainian. I’m of Ukrainian extraction. Is there someone back in the Old Country harboring a long-standing grudge against my emigrant grandfather? Do we owe money to some disgruntled relative over there? Why would anyone have taken it upon themselves to hack this blog? I hate hate. I mean I really hate hate. And I hate the haters who hate. I hate them because they’re so…well…so hateful. And I just hate that. It’s a good thing Nancy Pelosi and the Democrats pushed for that anti-hate resolution. There can be no question now that Americans believe hate is bad. Because we don’t want any haters around here. People could get the idea that we tolerate hate. And I’d hate for them to think that. Hate is intolerance. And tolerating that kind of intolerance is…intolerable. Good Shepherd Catholic Radio, an AM/FM station covering south-central Michigan, will host a group of distinguished Catholic authors — among whom is moi — at a mini book fair to be held at Queen of the Miraculous Medal Parish, 606 South Wisner Street, in Jackson, Michigan. Titled Catholic Authors of Michigan, the event will be held Saturday, March 30, from 10:00 a.m. to 2:00 p.m. It is open to the general public, and refreshments will be available. [Read more…] about Read a Good Book Lately? I have to confess that there are certain Catholic pious practices I don’t entirely get. It probably reflects the fact that I’m an adult convert and wasn’t raised in the Church — or that I’ve made less progress on my spiritual journey than I like to assume. One of the things I don’t get is fasting. The endless media cycle has already spun ’round several times since Jussie Smollett’s claim of being attacked by two Trump supporters was exposed as another pathetic victimization fantasy. This less-than-A-list actor is already fading into Jussie-Who? status. He enjoyed a moment of fame when his IMDb ranking (a measure of recognizability with which Hollywood folk are obsessed) peaked at Number 10. But his character was written out of the last three current-season episodes of the series, “Empire,” on which he’s been featured. Will he recover? Maybe. But at the moment, his long-term employability is uncertain. So if boosting his career was the motive for claiming persecution based on his intersectional characteristics of race and sexuality — as has been speculated — it probably wasn’t the shrewdest move. Indeed, Natalie expressed a great truth: Much is allowed — or forgiven — a girl who’s cute. The Donald’s bravura performance in his State of the Union Address, and the overwhelming burst of public approval following it, remind us that individuals make history. Unshaken by the scowling faces of those women in white — indeed, clearly amused by them — the President managed once again to put Democrats on the back foot in their resistance to his Great Wall of Trump. And pretty much everything else as well. My friend and former Hillsdale College colleague, Dan Bisher, has gained some prominence as a regional historian through his book, Faded Memories, which examines Michigan’s frontier period, as well as through presentations he gives at libraries and schools. A special focus of his work is the Potawatomi Indian culture that flourished in south-central Michigan until the infamous “Trail of Tears” episode that saw removal of indigenous people to reservations in the American southwest. Dan’s talks are well attended, and they generate plenty of questions, especially from children, who are always interested in native American life. Indian lore is a fascination for kids, exposed as they are from a young age to storybooks, TV shows, movies, and school lessons about the earliest residents of the Western Hemisphere. When they learn about the displacement of native culture by European civilization, youngsters tend to feel a special empathy that blends romance, nostalgia and a sense of loss. I dare say no other people have quite the same hold on their hearts as American Indians do. Which is why I was quite perplexed when I saw the first video images of those Covington, Kentucky, school boys confronted by a native drummer on the steps of the Lincoln Memorial.